The Barcelona cruise ship port is an important escape point for travelers wanting to get away to cruise ship destinations in the Eastern or Western Mediterranean. Many cruise-goers like to choose Barcelona departures that lead to round trip cruises that generally last a week. The week-long European voyages generally stop off at Mediterranean destination points along or near the shores of France, Greece and Italy. Therefore, 7 night Mediterranean cruises offer cruise-goers with an affordable way to see interesting harbors in both West and East side of Europe. Barcelona cruise ship port, in fact, is the major European port and turnaround base in the Mediterranean. Featuring seven international cruise and passenger terminals, the facility serves as a homeport to major cruise ship operators. 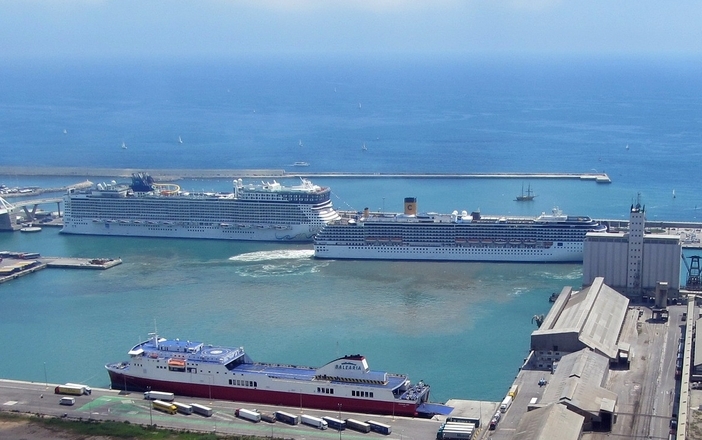 The port facility is a good member in standing of the Association of Mediterranean Cruise Ports. Each terminal at the site provides departing cruise passengers with foreign exchange, duty-free shopping, air conditioning, souvenir shops, bar-restaurant and a shuttle bus that takes travelers to the center of Barcelona. If you wish to see some of the sites of Barcelona before you embark on a Mediterranean cruise, then you always have the option to take a ferry. Ferry terminals have excellent connections to other means of transport, such as taxis and buses.